Let’s talk about belly buttons! I don’t generally spend a lot of time thinking about this part of my body but it has suddenly become relevant! During pregnancy, a lot of pregnant women find that their belly buttons go from innie to outie sometime in the second trimester. Mine isn’t there yet, it’s a bit soon, but I’m keeping an eye on it. 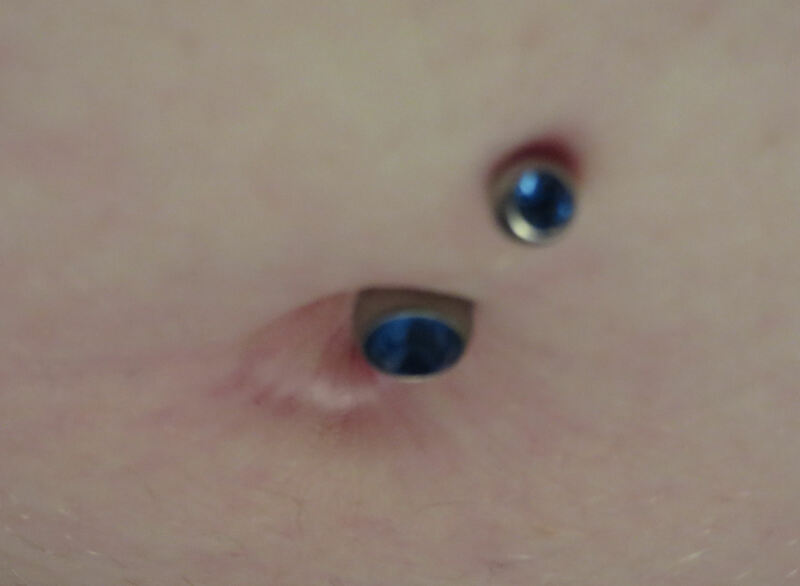 One is that my belly button is pierced, so at some point the changes in this area are likely to mean I’ll have to take the bar out. That’ll be a shame, I like having it there, and I hope it doesn’t heal up. If I’m going to take the bar out I want to do this at the right time so it doesn’t go all infected and manky because I left it in too long and it became too tight. I’ve seen on the internet that you can get special flexible longer pregnancy bars to put in and I might do that. See how it goes I guess. Second reason is I have a scar inside my belly button from laparoscopic surgery a few years back. I’ve been wondering what will happen with that as things start stretching and changing. Looked on the internet and some women have had no issues with it whereas other have found their belly button scars have become itchy or scabby. Generally, neither of these is a big deal but I’m monitoring things just in case. I also have. Laparoscopic scar in mine, and I’ve started noticing it the last two weeks (I’m 22 weeks). But I’ve always had a very deep belly button. I’ll let you know what happens with mine.